Wow almost a month since our last post! Where does the time go? I’m in the middle of a biggest loser competition at work so unfortunately, I can’t try many of the recipes I have pinned. Anyway, I tired these Oreo & peanut butter brownie cakes from Picky Palate (loving Jenny's new layout!) a few weeks ago. 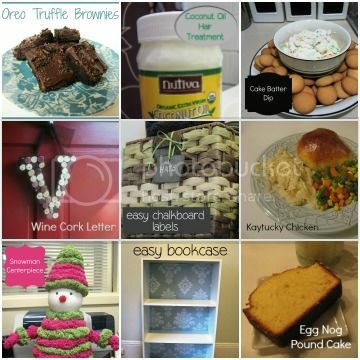 I gathered up my ingredients – brownie mix, peanut butter, & Oreos – all things I had on hand! You start by spreading some peanut butter on top of an Oreo. Then top with another Oreo and spread some more peanut butter on top. 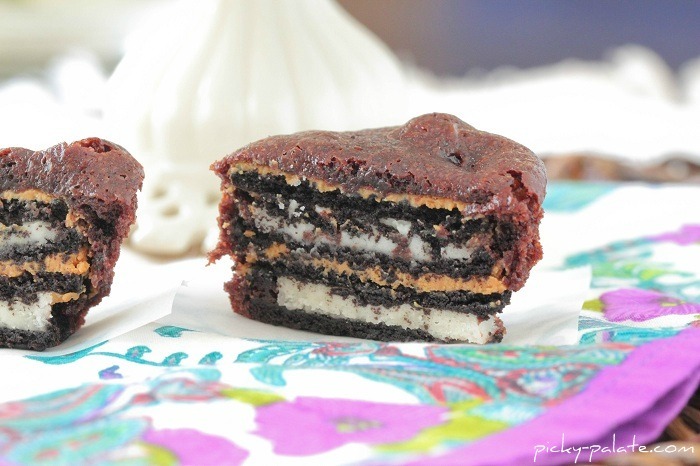 Put the layered Oreos in a cupcake pan and pour your brownie mix on top. The Verdict: I didn’t love them. I think there was just too much going on between the peanut butter, brownie, and Oreo all together. Also, I burnt some of them. I think I’ll just stick with the plain brownie covered Oreos. They are simple and always a crowd pleaser. Things to Note/Consider: Shorten the baking time by a few minutes. Other then that, nothing to note!